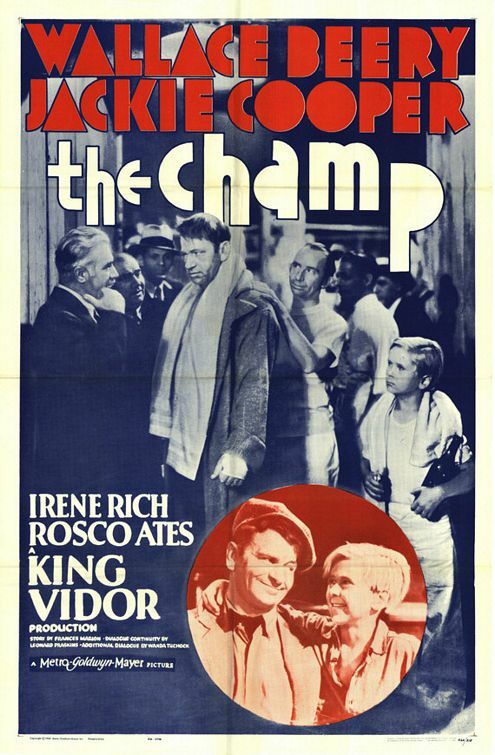 An alcoholic, gambling-addicted boxer (Wallace Beery) struggles to provide a decent life for his son Dink (Jackie Cooper) — however, when Dink’s long-lost mother (Irene Rich) suddenly reappears in his life, a custody battle ensues. 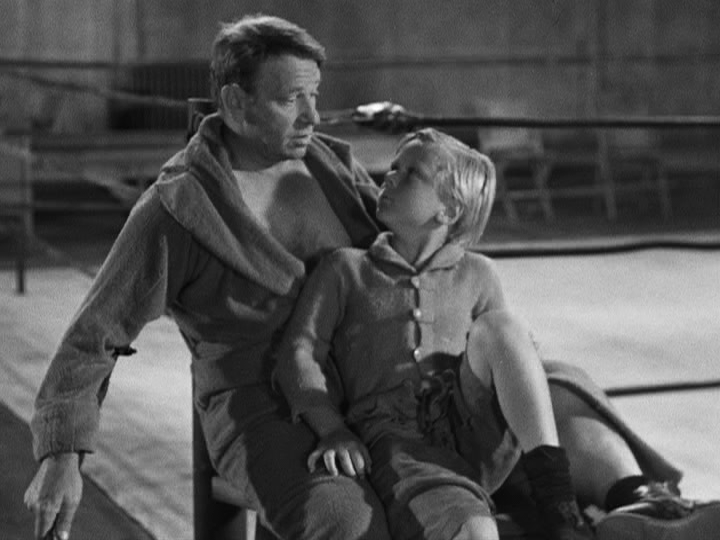 Wallace Beery won an Academy Award for his role as a washed-up former heavyweight boxing champion trying to make good again for the sake of his kid. Unfortunately, this melodramatic tale about a boy who adores his father no matter how badly and repeatedly he messes up is either maudlin, depressing, or unrealistic (as when Cooper’s mother suddenly shows up, wealthy, with another husband and child, and hoping to adopt him). Meanwhile, your tolerance for Cooper — who, fresh from his success in Skippy (1931), became the first major child star of the 1930s — will depend entirely on how much you can handle his overwrought if heart-felt reactions. No. Listed as a film with Historical Relevance in the back of Peary’s book. First viewing. A once-must, for its place in cinema history and for Beery and Cooper’s performances. I had a different reaction to this classic. I didn’t find it particularly maudlin, depressing (until the last 5 minutes) or unrealistic (as far as a drama goes). The selling point of this film (its reason for being, actually) is the central father/son relationship and Beery and Cooper have good chemistry together. It’s rather touching listening to their close-knit banter and watching their behavior with each other. The bond is so strong that, during the final fight sequence – when it seems certain that Beery could lose, it hits the heart when Cooper starts pleading with Beery to give up and (for the first time in the film) calls him ‘Daddy’ instead of ‘Champ’. If you think this depiction of sentiment is too much – then, by all means, *avoid* the 1979 Zeffirelli remake (which Peary doesn’t recommend – and which is 30 minutes longer!). I only saw that once but my memory of it is that it’s over the top!